Toni Ball is the lady at the center of the phenomenon of ‘THAT’ folder. No-one could have predicted the impact of ‘THAT’ folder across the world, but Toni was instrumental in its success, creating a Facebook group that gained folder fans around the world! 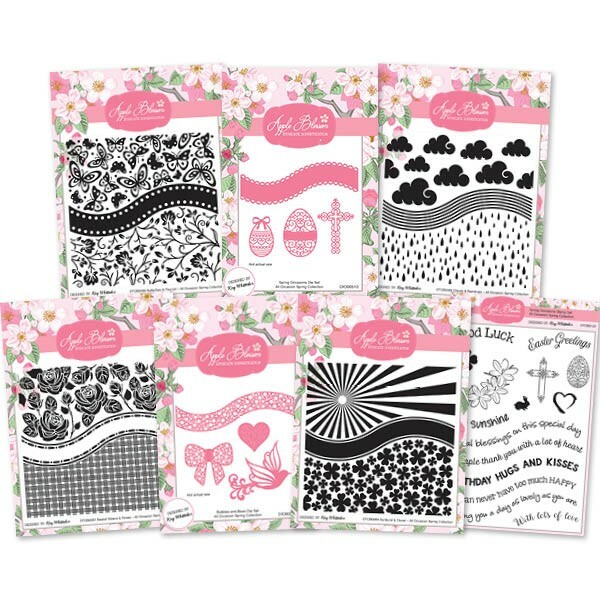 Even so, Toni still can’t quite believe how this amazing All Occasions embossing folder has embedded itself into the hearts and minds of crafters! We wanted to share the story of this folder alongside the launch of a brand new range in the series, we thought you’d be keen to hear more about the rise and rise of this great range from Apple Blossom which has a dedicated Facebook group! 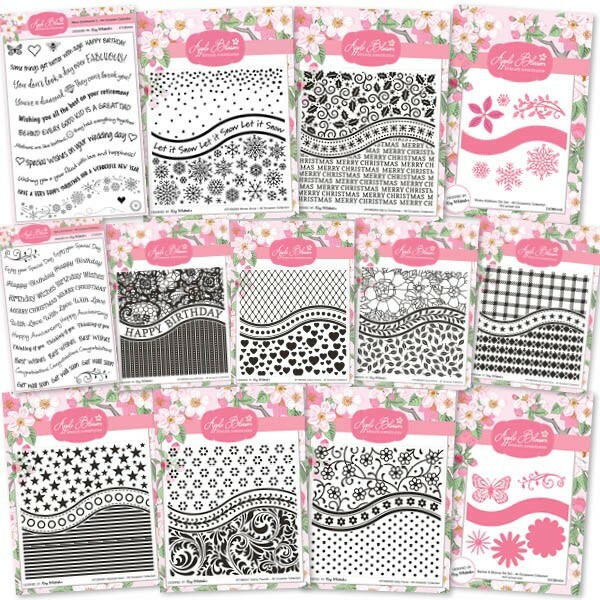 Here’s your first look at the new All Occasions Spring Collection The full range features stamps dies and folders. When did you begin crafting? When I was 13 I learned how to cross stitch and a colleague taught me to crochet when I was 16. Around 20 years ago I started making my cross-stitch designs into cards and, a couple of years after that, I moved into proper cardmaking. 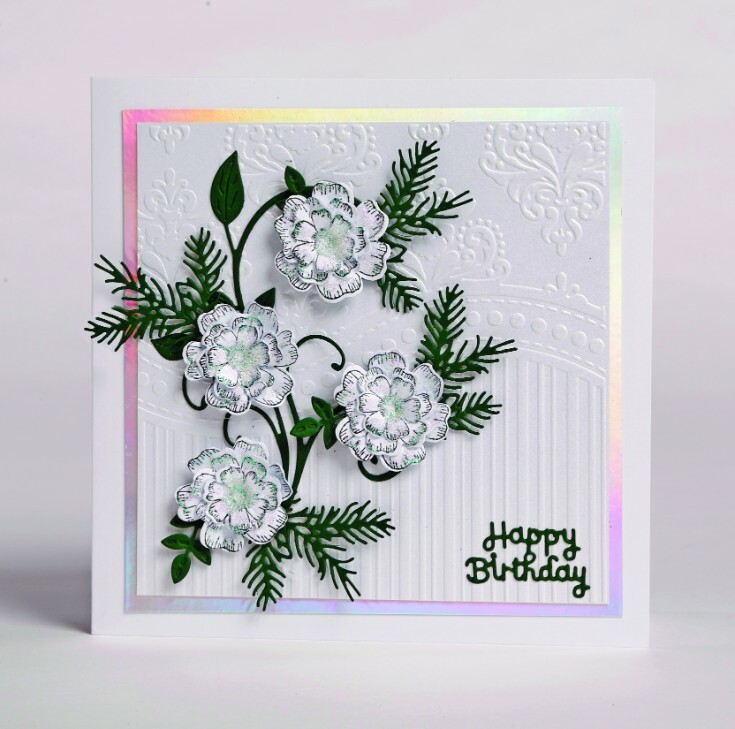 I still do cross stitch and crochet but I love cardmaking – because it’s nice and quick! How did you start your foray into papercrafting? I used to buy frames and embellishments and pre-cut toppers. I still have cards I made back then – they’re not very good! Last week, my husband found a box under the spare bed full of the very first cards I made. He asked if we could throw them out but I refused! They’re not very good and I probably won’t give them to anybody but I’m not going to sling them out! Did you use Facebook craft groups before you created your group for ‘THAT’ folder? Yes, I have two groups – one for cards, one for other projects. 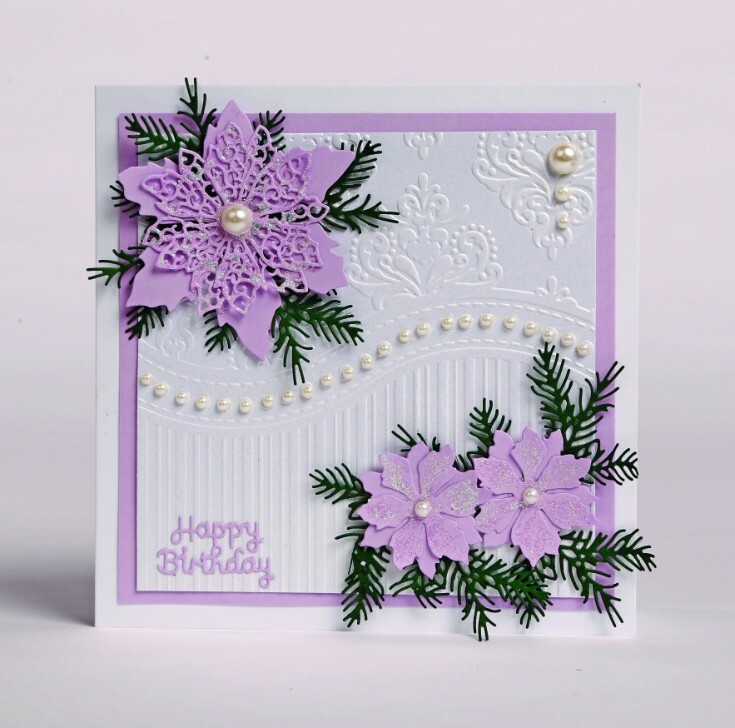 I’m in other cardmaking groups on Facebook too. Do you find Facebook a good way to communicate with other crafters? It’s good to meet like-minded people. I joined one cardmaking group, and two people who also joined at the same time turned out to live in the same town as me! We’d never met before, but now we’re friends and meet up regularly meet up and go to one another’s houses to do cardmaking. How did you discover ‘THAT’ folder? I looked in WHSmith as I always do every week to see what new magazines have come in. I saw Papercraft Essentials issue 122 with the folder and I picked it up. It sat on my craft table for a few weeks and then I decided to make some cards with it. I got some ideas, made a few cards and posted them on two or three Facebook craft groups as I normally do – and that was just the start of it. Then, of course, I got asked where I got it from and people started commenting on my cards. How did the posts using the All Occasion folder compare to previous posts? Did that give you an inkling you’d stumbled across something special? Yes. I told the others that it was from Papercraft Essentials issue 122 and then more people started asking and commenting. As a joke, I said, “Maybe we ought to set up a group for the folder,” and people agreed – that’s how it came about. When people were talking about it they never said the All-Occasion embossing folder, they just said ‘THAT’ folder, which is what I called the group. Only later did it become All Occasions and Friends. And after that, it went mad! When you first set up the group, how many were following? Once I let people know the group was there, I had no end of people asking to join it – I just couldn’t believe what I’d started! Then when the magazine sold out, people still wanted to get the embossing folder – it was amazing, I was flabbergasted! The name is true to the folder. And before the new additions came out, people were cutting it at the wave point and using a different top or bottom with it and creating their own unique designs. It’s so versatile. I’ve made men’s cards with it and it can be for any occasion whatsoever. When CraftStash started to sell the folder on its own, did you notice an upturn in your group activity? Yes, and I’ve even sent extra folders to my followers to help people with their orders. Even then, the demand meant CraftStash sold out several times! How did you feel about the new products being launched and the rebranding of ‘THAT’ folder? It’s all been very positive, they like the folder so much and were excited to create more with the new range of complementary products. I wasn’t sure at first but once I saw the new products I liked them and I think the group felt the same. Did you feel the co-ordinating products – the die set and stamps – were a welcome addition to the embossing folders? Definitely. The wave die is especially brilliant – people were cutting that themselves on the original folder and now there’s a die to help you do that for. Having the die has made it a lot more versatile and user-friendly. How does it feel to have played an instrumental part in this phenomenon? I can’t believe how popular it is, and to think back that we joked about the folder warranting a Facebook group of its own! Now, we have people from all over the world who have joined – that’s amazing! 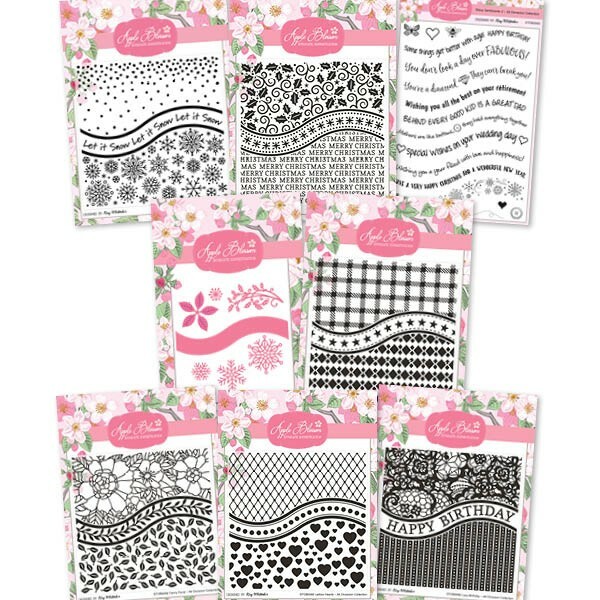 Here’s a video from Chris at Crafti Potential featuring a few of the new items from this fab new All Occasion range of folders, stamps and dies. Spotlight on… ‘That Folder’ – The All Occasion embossing folder phenomenon!